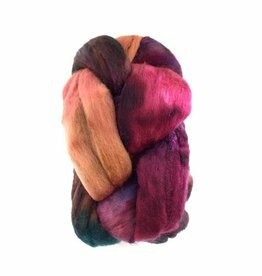 The Frabjous Fibers Merino Tencel spinning fiber offers sheen for days! This 4 ounce braid is made from a luxurious fiber blend of merino and tencel. 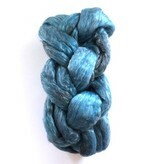 Each braid is hand dyed using professional textile fibers through a kettle dying process. 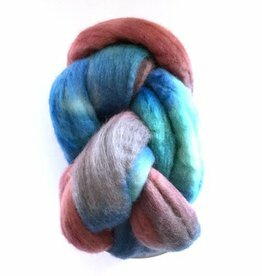 The top is handled with care to ensure it is lofty and easily drafted. 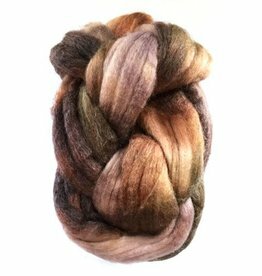 A great fiber option for both spinning wheels and drop spindles.